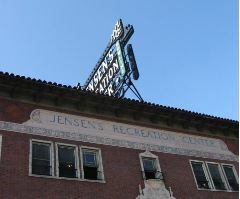 Explore the history of Echo Park, the Sunset Boulevard Business District and Washington Heights, Angelino Heights younger sibling during a trio of walking tours that will be held in conjunction with the Echo Park Rising music festival on Saturday, Aug. 25. History, storytelling and urban archeology combine to transport 21st century Angelenos to the Los Angeles of the 19th and 20th century. Three tours will be held on Saturday, Aug. 25 at 1 p.m., 2:30 p.m. and 4 p.m. Meet at the United Methodist Church at the corner of Alvarado and Reservoir streets. RSVP to ephs@HistoricEchoPark.org.